Yankauers are suction tips that are designed to be used orally in medical procedures. It is made up of firm plastic that has a large opening surrounded by a bulb shaped head designed to allow for effective suctioning without causing any damage to the surrounding tissue. Oropharyngeal secretions are removed using a yankauer. A Yankauer may also be used to provide suction at operative sites during surgical operations and the volume of blood suctioned is considered as blood lost during surgery. 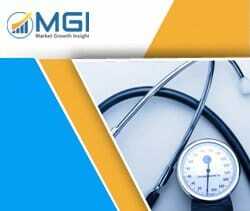 This report studies the global Yankauer Suction Tips market status and forecast, categorizes the global Yankauer Suction Tips market size (value & volume) by manufacturers, type, application, and region. This report focuses on the top manufacturers in North America, Europe, Japan, China, and other regions (India, Southeast Asia). Focuses on the key Yankauer Suction Tips manufacturers, to study the capacity, production, value, market share and development plans in future. Regional and country-level analysis of the Yankauer Suction Tips market, by end-use.